This weekend brought again summer temperatures the approx. 200 inline skaters for an optimal inline day. 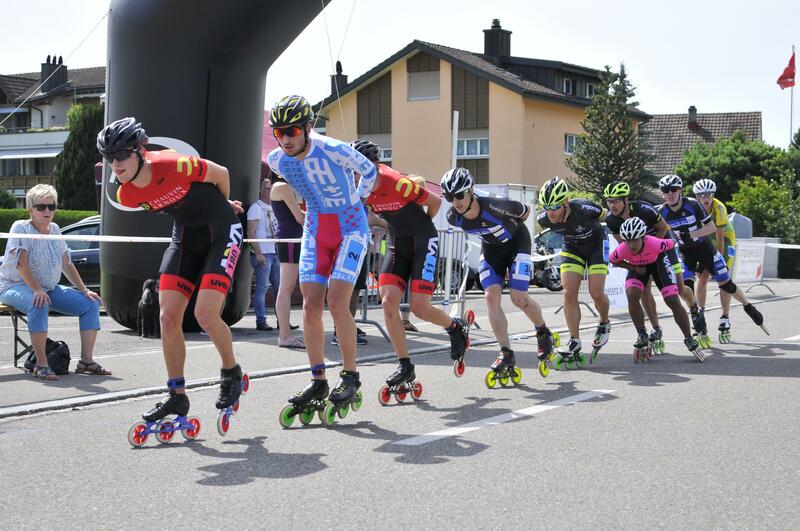 The event was just as well “organized” as the weather – thanks to 21 years of experience in organizing the Linthmarathon by the local Inline Club Juka-Linthline. The day started traditionally with the youngest: the beginners among them could gain first rolling experiences at KidsOnSkates and the bigger ones started on a 1 km or 2 km distance of the Linthmarathon. The fact that the Linth Valley is not necessarily always “an even valley” was immediately felt by the participants on the climb after the start, which had to be mastered 10 times for the marathon distance and 5 times for the half-marathon distance. In the summer temperatures this this was not easy and many of the participants counted every lap that still lay ahead of them. After 10 laps and 1:06:50 minutes Nicolas Iten (SUI) – who was already leading the field together with Tim Sibiet (BE) after some agile kilometres – crossed the finish line, followed by Tim Sibiet (BE) (1:07:59) and Camilo Akosta (COL) (1:10:06). Nicole Bolivar (COL) finished as first woman with 1:11:17, followed by Ramona Härdi (SUI) (1:16:21) and Martin Dossi (ITA) (1:17:17). Action for spectators and participants was the following ALL-Tec-Sprint. The sprint winners are Raquel Rios and Camilo Akosta.